The requirements for visa are the same as Italy. If you would like to enter San Mario , you should travel through Italy. The nations from Andorra, Argentina, Australia, Austria, Belgium, Bolivia, Brazil, Brunei, Bulgaria, Canada, Chile, Costa Rica, Croatia, Cyprus, Czech Republic, Denmark, El Salvador, Estonia, Finland, France, Germany, Greece, Guatemala, Honduras, Hungary, Israel, Iceland, Italy, Japan, Latvia, Liechtenstein, Lithuania, Luxemburg, Malaysia, Malta, Mexico, Monaco, Netherlands, New Zealand, Nicaragua, Norway, Panama, Paraguay, Poland, Portugal, Romania, San Marino, Singapore, Slovakia, Slovenia, South Korea, Spain, Sweden, Switzerland, UK, USA, Uruguay, Vatican City & Venezuela don’t need visa to visit and stay of 90 days or less. If you have plan to travel through San Marino and have ticket, you can enter and stay in airport zone less than 24 hours without transit visa. For further information please contact us. When their stay in the territory of the Republic of San Marino lasts more than 10 days, foreign citizens must obtain a permit of stay or residence permit. The permit document can be of three different types: for tourism, special or ordinary. This permit is issued for people staying in the Republic of San Marino for tourism, school, health or rest but for a maximum of 90 days and does not allow for health assistance rights. You can apply to be a permanent resident of San Marino after you have lived there for at five years since you were granted your original permit of stay. For further information please contact us. Special permits are continuous or seasonal. You must have a job lined up first to be granted either. A continuous permit is for if you have an indefinite job contract. It is granted by the State Congress.A seasonal permit is for if you have a job that lasts up to ten months. A seasonal permit is granted by the Foreign Office of Gendarmerie. It must be determined that your employer tried to find a local applicant and was unsuccessful. For further information please contact us. 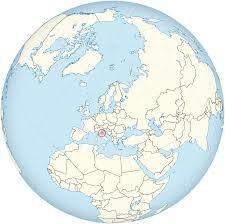 San Marino is a microstate surrounded by a mountainous north-central part of Italy. Among the oldest republics in the world, it retains much of its historical architecture. On the slopes of Monte Titano is the capital, also called San Marino, famous for its walled medieval old town and narrow cobbled streets. Three towers, castles and citadels, dating from the 11th century, sit on top of the neighboring Titano peaks.